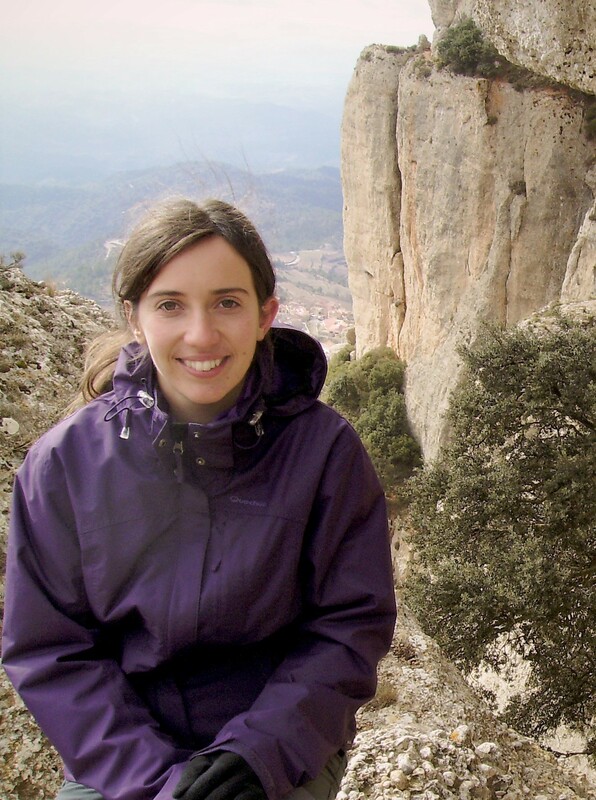 Dr Silvia Busoms is a plant scientist and Future Food Beacon collaborator. She earned her PhD from the University of Aberdeen and the Universitat Autonoma of Barcelona in 2015. From 2016-2018, she was a postdoctoral researcher in Levi Yant’s lab at JIC. 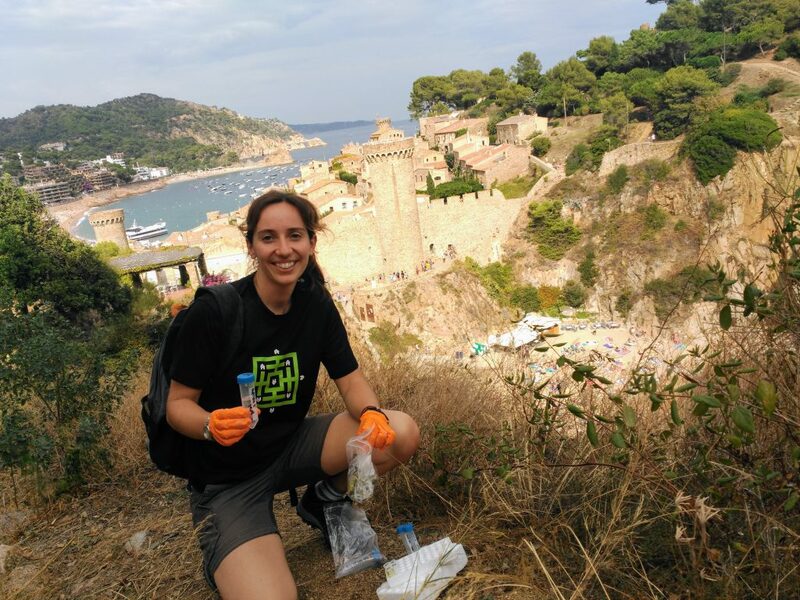 In this interview, Silvia talks to Lexi Earl about her journey to become a plant scientist, her research, and her plans for the future. I studied forest engineering at the University of Lleida in Catalonia, and I worked as a forest engineer for a while, first for a private wood company and then in a national park. I did enjoy that but then the crisis started in Spain and I had to look for other options. When I was doing my degree, I always was passionate about plant physiology and genomics. The Universitat Autònoma of Barcelona (UAB) advertised a grant funded by the National Institute of Health. I applied for that and I received it so I could then do a Masters and a PhD in Plant Biology. I was supervised by David Salt, who was at the University of Aberdeen at that time (currently Director of the Future Food Beacon, University of Nottingham), and Charlotte Poschenrieder at the UAB. The project was about the genetic basis of natural ionomic variation. I am very grateful to both because I could learn a lot about plant physiology in Charlotte’s lab, different genetic techniques during my stays at David’s lab in Scotland, and get a PhD from both universities. After that I joined Levi Yant’s group as a postdoc at the John Innes Centre (JIC) in Norwich where I continued my research in salt adaptation. How did you first get interested in forest engineering? I wasn’t sure about just doing biology. I always liked plants but I was also interested in engineering. It was a good option to mix both of those things. Forest engineering allows you to be involved in conservation, ecology, … with a solid mathematics and physics base and I was really interested in that. What was it like moving from being a forest engineer to being a plant scientist? I miss some of the “more direct” applicability of the forest engineering but, although I am not working with trees at the moment, the fundamental science we do can involve or be reproducible in any plant species so I hope farmers and conservationists will benefit from our research results. You are currently working on a really interesting site in Catalonia, can you tell me about it? Our aim is to take advantage of the natural variation that exists in wild populations of Arabidopsis thaliana. In Catalonia, A. thaliana is quite rare. It is not like the UK, where you can find it everywhere, so this means that we have environmental factors that limit the existence of this plant. We decided to do an exhaustive survey in this area and we realized that soil composition is mainly determining the distribution of this species. On one site, we could select coastal and inland populations that show clear differences in salinity tolerance and, on the other site, we have a gradient of populations showing the different ability to survive in alkaline soils. Both stressors are problems that affect farmers around the world so the possibility to identify and study plants that have evolved and adapted to these harsh conditions has a lot of potential. Can you tell me a little about your recent paper that was published in PNAS? I started this work during my PhD and I completed the genomic analysis during my postdoc at JIC. First, to prove that the A. thaliana plants from coastal populations were locally adapted to the coast and study the mechanisms they use to tolerate saline soils we performed several field and lab experiments that were published in a previous paper (Busoms et al., 2015). Then the next objective was to investigate the genetic variability driving this adaptation and one of the candidate genes with several polymorphisms was the sodium transporter HKT1;1. The selection and maintenance of the different variants of HKT1;1 alleles, detected also in other coastal European populations, could not happen just by chance so we decided to focus on the causes and effects of the allelic variation identified in this transporter. We integrated a genetic, physiological and ecological approach to understand the role of HKT1;1 allelic variants in the adaptation to the fluctuating salinity dynamics we have in Catalonia but the work is not finished yet. What is the potential for this work in the future, do you think? When we discover genes that have evolved and been selected in well adapted populations, we have two options for improving the sustainability of crop yields: look for cultivable varieties that have mutated in a similar way, or use gene-editing techniques to create varieties more adaptable and resistant to these abiotic stresses. The work has real, worldwide implications for growing food under the variable conditions that are a consequence of climate change. What is the advantage of using plants that are natural variants, in a natural laboratory? The advantage of working with natural variants is that we can identify the agent responsible for a selection pressure, soil salinity in our case, and do genome scans to look for the regions and genes that are unique in the adapted populations. The advantage of working in a natural laboratory is that we can do real reciprocal transplants in the field, test if the local adaptation is real, and observe the behaviour of the plants that are variants for a single gene. Moreover, with natural variants we can study the evolution and migration events of candidate genes. 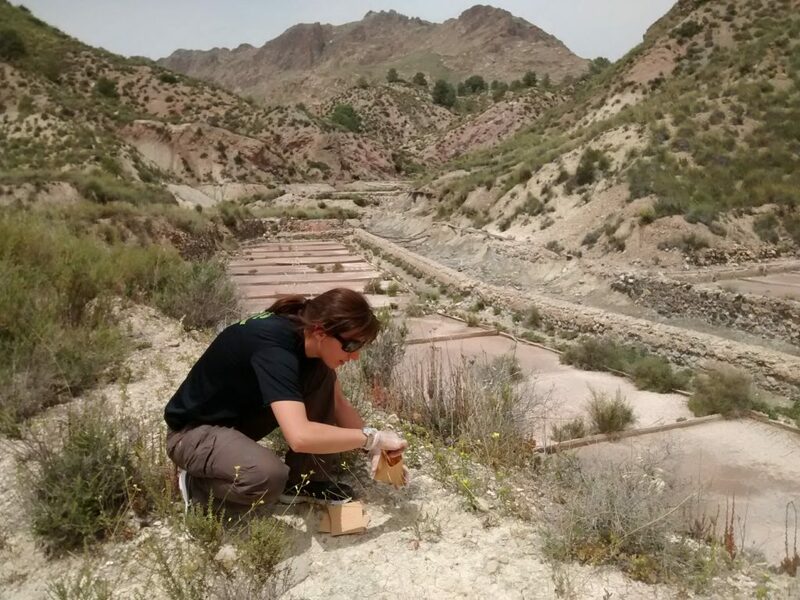 For example, we were expecting that the A. thaliana we found would be quite prevalent in Catalonia, or similar to the Iberian relics that are around Spain but most of the plants have a similar genome to the European varieties. This migration/adaptation is fascinating and we want to follow up this study. At the moment I am in a transition period, where I am applying for various fellowships. During my postdoc at JIC I started a promising project on a new model system, Brassica fruticulosa, also related to salinity tolerance, which I hope to finish this year here in Nottingham. I am also teaching in a summer school in Kenya this April where I would like to establish collaborations for future projects as well. My plan is to be based in Barcelona but to have tight partnerships at Nottingham. The facilities here for sequencing genomes, and the bioinformatic support, are amazing. I would encourage them to do what they like, what they are passionate about. Sometimes it is difficult, a research career is intensive and challenging; so if you’re not motivated it can be painful. I would also advise younger scientists to not be afraid of travelling a lot, meeting new people, working as a team and establishing collaborations everywhere they can. I still consider myself a young researcher but, of course, the acceptance of this PNAS paper was fantastic news. It took a while but the effort was worth it. I am very excited about it. How does your research affect ordinary people? Now that we know that HKT1 is really helping the plant to tolerate salinity, it is good to look for the homolog of this gene in other cultivars. HKT1 is also present in rice and sweet potato for example, not just in brassicas. So, if we can find populations with HKT1 variants, we can select the ones that are more tolerant for salinity and cultivate those. In some agricultural areas, water used for irrigation is contaminated with salt, or if there are periods of drought, salts can increase in the soil and make it tricky for the plants to grow. It is not only a coastal issue, it can happen in many places, especially now that we are going through uncertain climatic changes. I could say our results have an indirect effect, if the plants that farmers are cultivating are more adaptable and resistant to periods of drought and salinity and other environmental stressors, then yields will be maintained or improved. This can affect food prices and that has implications for ordinary people. I think there is a real need for knowledge regarding plant science to exist in the public domain and I am not sure how to fight for that. The companies that keep science private do not share their failures. If they could share those, people won’t make the same mistakes again. Busoms et al. (2015) Salinity is an agent of divergent selection driving local adaptation of Arabidopsis to coastal habitats. Plant Physiology 168(3), pp. 915-29. Online. Busoms et al. (2018) Fluctuating selection on migrant adaptive sodium transporter alleles in coastal Arabidopsis thaliana. PNAS 115 (52), pp. E12443-E12452. Online.